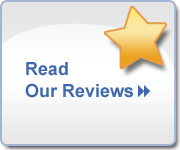 For over 20 years, Erieview Dental has been proud to serve the great state of Ohio with the best cosmetic and general dentistry around. Dr. Thomas and Dr. Greenfield have over 40 years of combined experience to give each and every patient the dental care that they've been looking for. Patients of all ages can come to Erieview Dental for treatment performed by your Mentor OH dentist ranging from a cleaning to advanced services so we can be your one and only stop for all of your dental needs. We pride ourselves on not only building long-lasting relationships with our patients, but delivering comprehensive, affordable unique care and treatments to them, as well. We're located in Mentor OH, conveniently right off of Route 2 and Heisley Road. Both Dr. Thomas and Dr. Greenfield pride themselves on working with each individual patient to create the best and most efficient treatment plans for their smile. Our communication with patients is the first and most important step during your appointments. The doctors and staff at Erieview Dental want to ensure that you understand any treatment you'll be receiving and have the opportunity to ask any questions you may have. 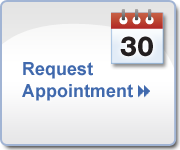 We're open to discussing treatments that you're interested in, what the benefits for your smile will be, and other concerns. If you're looking for a cosmetic dentist in Mentor OH, Erieview Dental offer services such as veneers, teeth whitening, Invisalign, botox, and much more. If you've experienced an accidental dental emergency, don't hesitate to call us at (440) 357-1222. If you're grinding your teeth at night or are playing sports, we have both night guards and sports guards to protect your teeth from excessive wear and tear. We are honored to serve our community in Ohio, as well as these surrounding communities below, and hope to continue this tradition with you and your family for years to come. If you have any questions about our available services, our location, or you're simply ready to make an appointment, call us today at (440) 257-1222.